A yule log, to you and me, but Nigella has that habit of taking fairly normal food and making it seem ten times more glamorous, either with an exotic foreign name or an expensive secret ingredient. 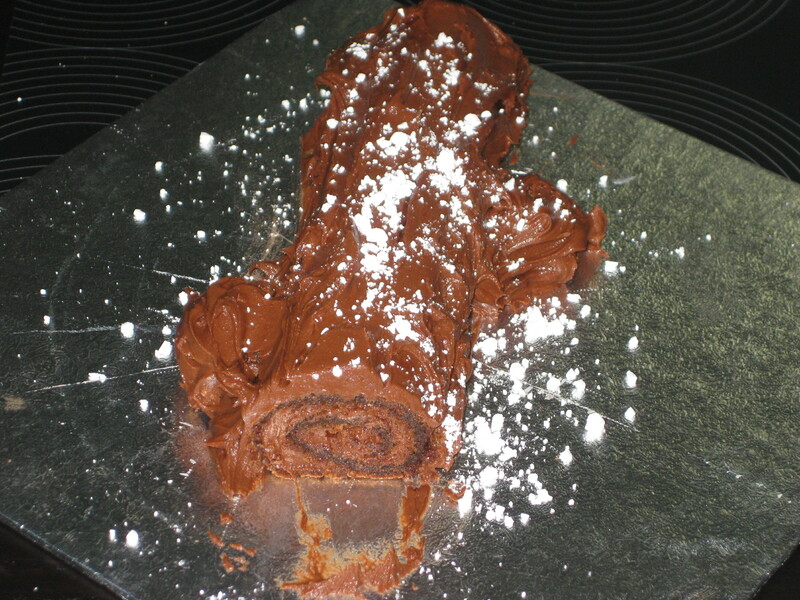 I don’t think this yule log needs much help from Nigella, as it’s already pretty impressive. As always, I was confined by my tiny oven (counting down to using my Mum’s mega oven when I get home! ), so it’s more of a twig than a log, but sometimes that’s all you need. 1. 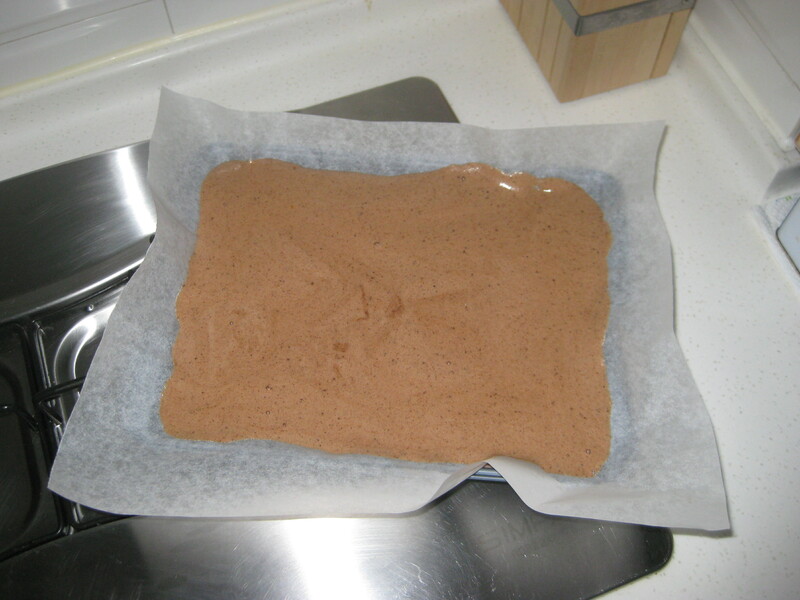 Preheat the oven to 180C and line a Swiss roll tin with baking parchment, leaving an overhang. 2. 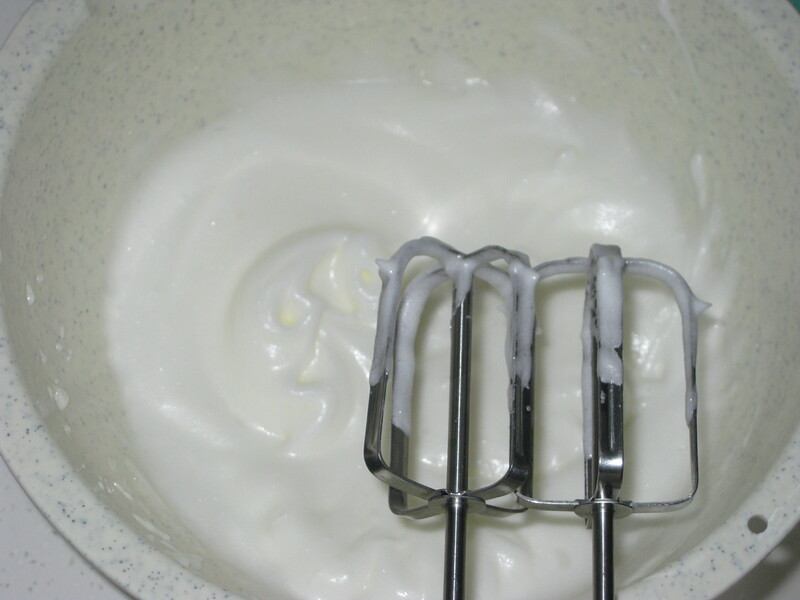 In a large bowl, whisk the egg whites until they are foamy and thick. 3. 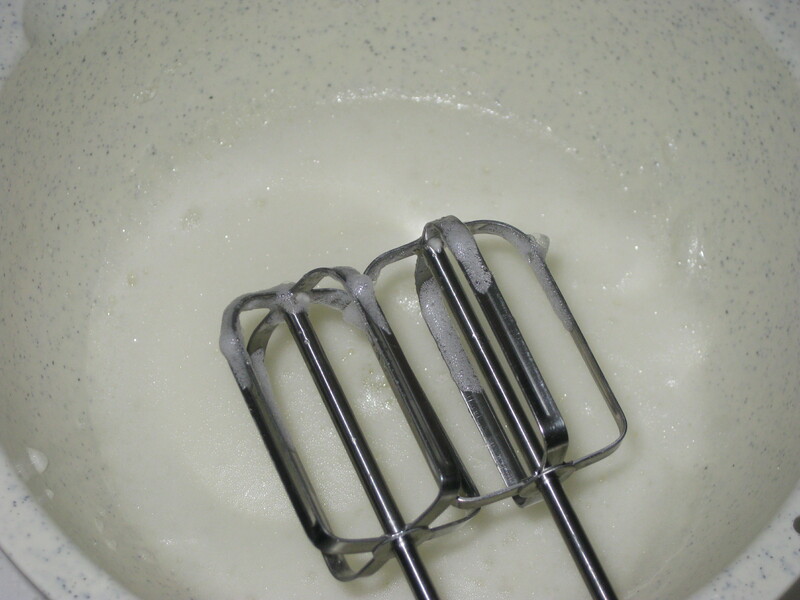 Add 50g sugar and whisk until the whites are glossy and holding peaks. 3. 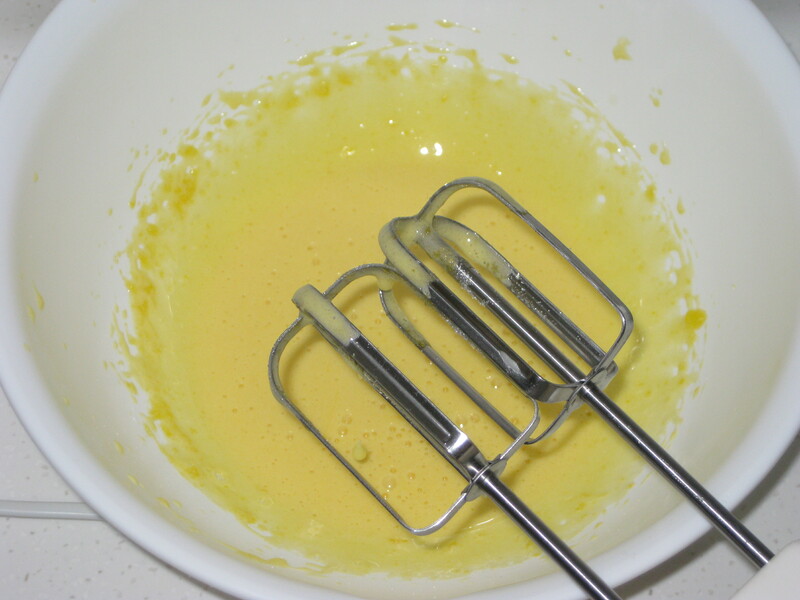 In another bowl, whisk the egg yolks and remaining sugar until pale and thick. 4. Add the vanilla extract and sift in the cocoa, then fold them in carefully. 5. Fold in a couple of spoonfuls of egg whites to loosen the mixture, then add the rest of the whites in thirds, mixing carefully to avoid losing air. 6. Pour the cake into the lined tin and bake for 20 minutes. 7. 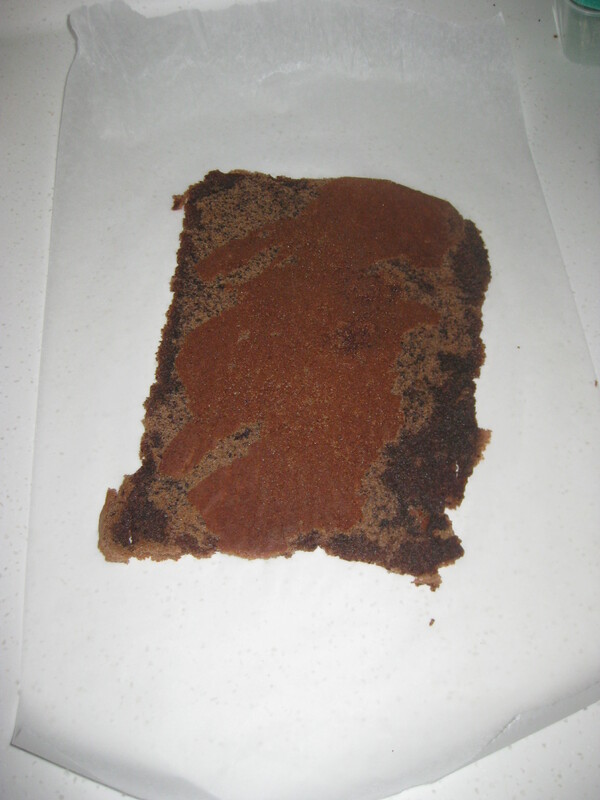 Let the cake stand in the tin for a while before turning it upside down onto a fresh piece of baking paper. 8. 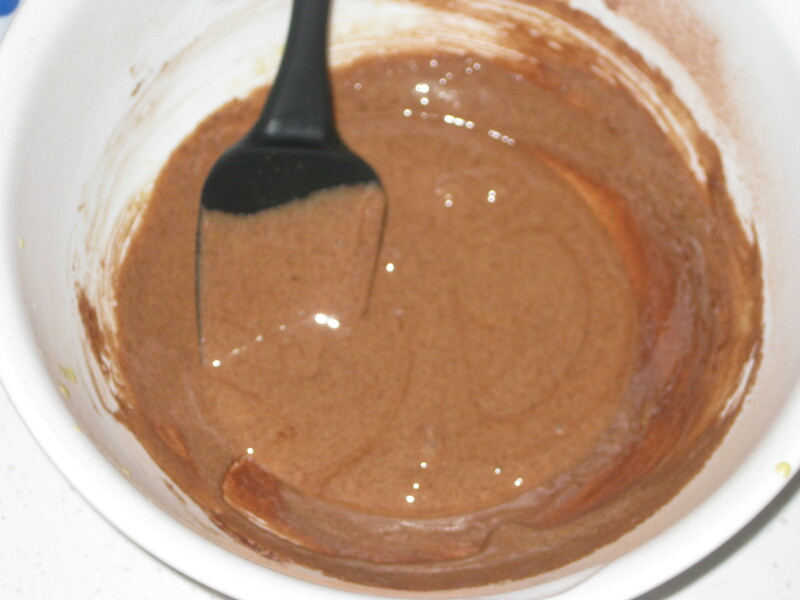 To make the icing, melt the chocolate over a pan of simmering water, and let it cool a little. 9. 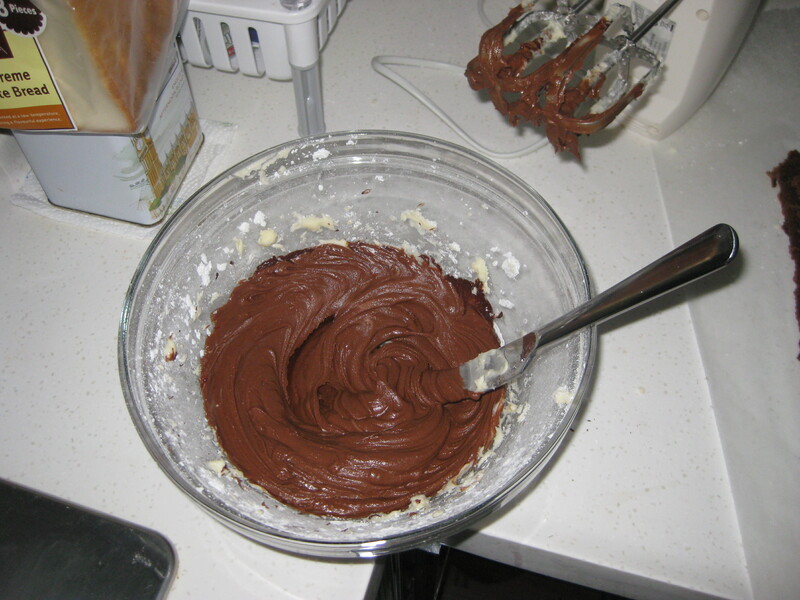 Mix the icing sugar and butter until smooth, either in a food processor or with a handheld electric mixer. 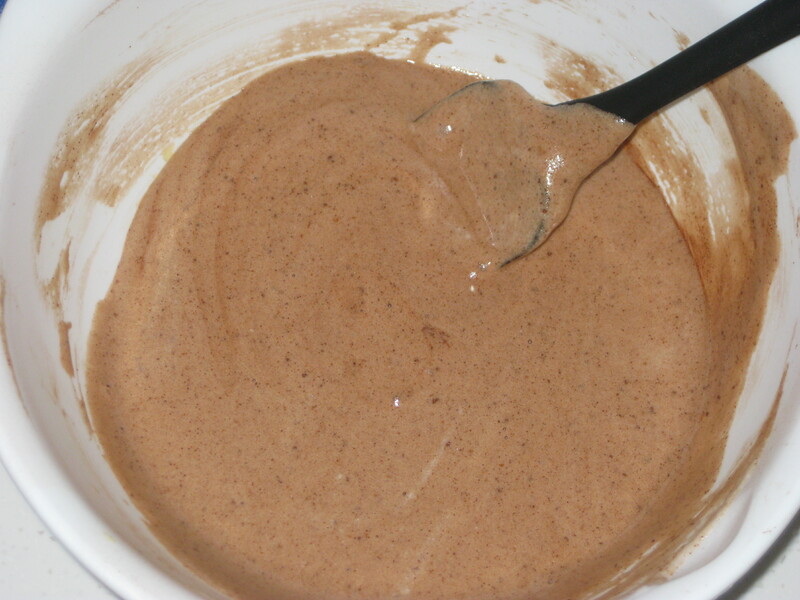 Add the chocolate and vanilla and pulse until it forms a smooth icing. 10. 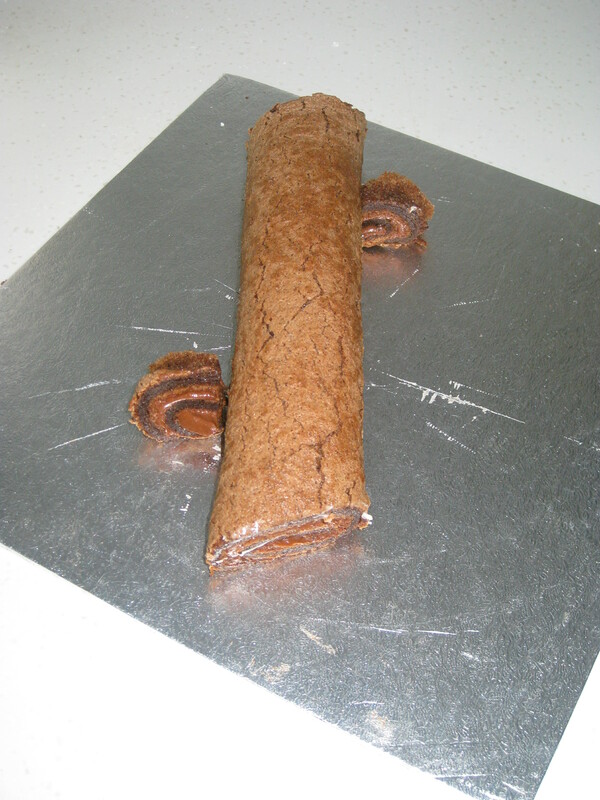 Trim the long edges of the swiss roll and the shortest edge which should be facing you. The trimmings will form little branches. 11. 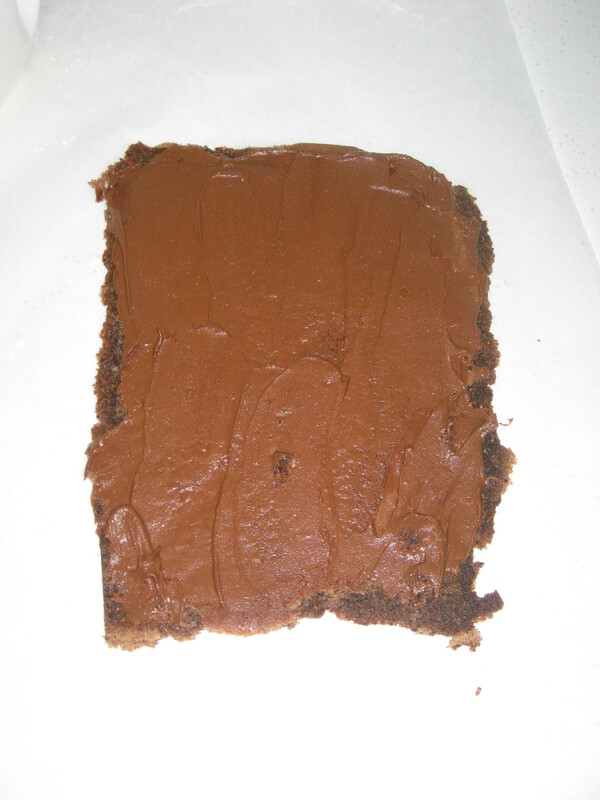 Spread some icing thinly over the sponge, going right up to the edges – don’t leave any border. 12. Roll up from the short side facing you, keeping it as tight as possible from the start. Cut one end to give it a nice angle, like a broken log. Position the trimmings to be little branches. 13. 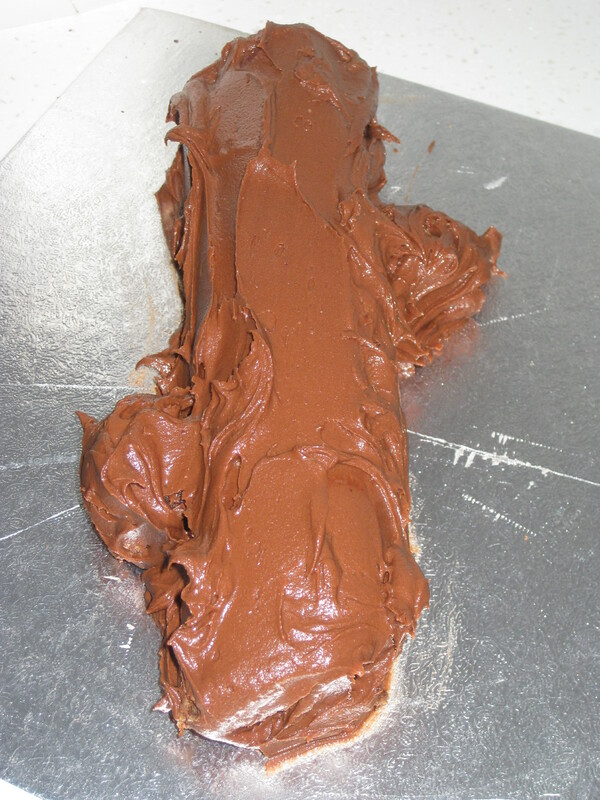 Use the remaining icing to cover the log, including the ends. 14. Create a wood-like texture by using a skewer to etch lines in. Dust with icing sugar if you want the freshly-fallen-snow look. 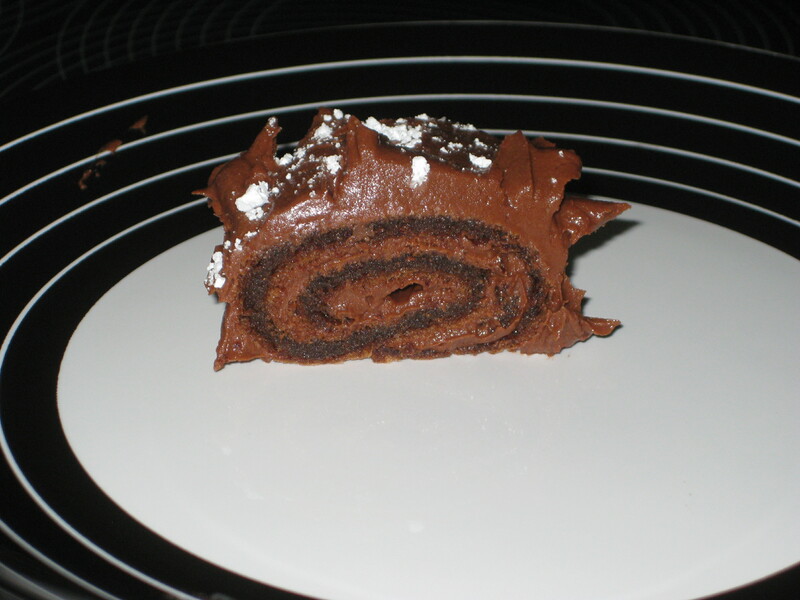 This entry was posted in Vegetarian Recipes and tagged Christmas baking, Christmas cake, Nigella Lawson, yule log. Bookmark the permalink.